← UL’s Green Campus Assessment takes place! 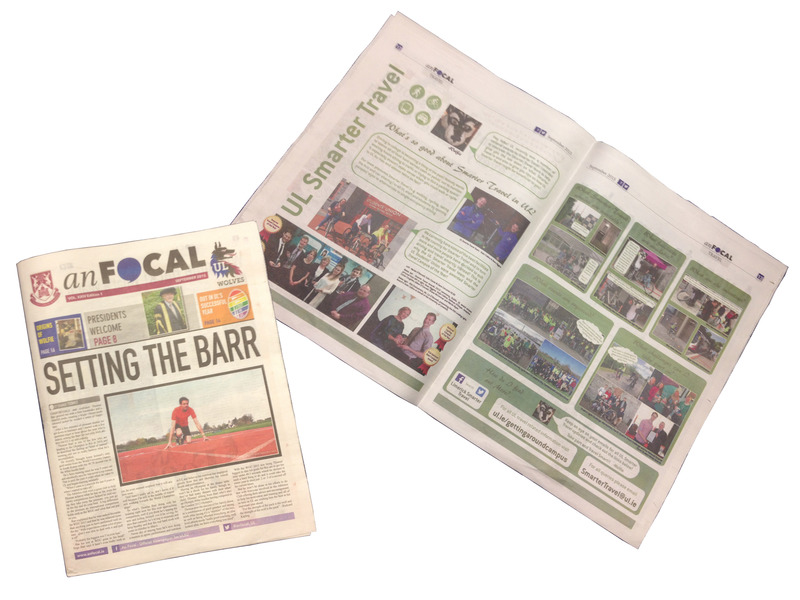 A range of smarter travel facilities and initiatives were highlighted in this year’s first edition of the students’ An Focal newspaper. In interview style using the ULST mascot, Wolfie as interviewer, the newspaper’s centre-fold was taken up to present all of measures that are implemented on campus to open up people’s eyes to alternatives to single-occupancy driving.